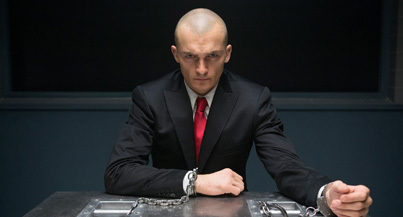 Kim Hollis: Hitman: Agent 47, a new adaptation of the videogame, earned $8.3 million. What do you think of this result? Ryan Kyle: Fox just can't catch a break revamping their dormant properties. The original Hitman opened to $13.2 million in 2007 dollars and had better than expected legs for the genre, ending up close to $40 million. This one opened to $8.2 million. YIKES! I'm surprised they just didn't make a sequel to the original instead of a reboot, since I doubt Timothy Olyphant and Olga Kurylenko's asking price went up that significantly over the years. With a rumored budget of $35 million, Fox will have to search overseas to make up the US deficit, but I have a feeling that was their plan all along as a very Luc Besson-esque aesthetic was given to the film's trailer. Speaking of Besson, The Transporter Refueled will probably take over almost all of this film's screens within two weekends. Ben Gruchow: I'm surprised this many people saw it. I think some of those might have wandered in because the movie's title, if you glanced at the poster and didn't squint and read the fine print, was just "Agent 47". This might break even with the combination of domestic and international grosses, but it's not really a sure thing since I figure the worldwide gross needed is probably somewhere around $100 million to clear the combo of production budget and marketing; the original Hitman tapped out at $99 million, and this movie is starting slower both domestically and in foreign markets. I'm gobsmacked as to who at Fox thought this was $35 million worth of a bankable idea. The screenwriter's history reads like the resume that you only accept for show, and shred as soon as the applicant leaves. It looks like Paul Walker was originally attached to play the lead role when this was in development in 2013, and there was a reboot/remake of the Hitman game announced in early 2014. The only thing I can think of is that by the time Walker passed away and the game fell through, the movie's producers had spent enough money to keep going with it. On a lighter note, my research reveals that Thomas Kretschmann's character is named Le Clerq. No first name. I find that strangely amusing.